All throughout the state of New Jersey, it’s well known that Auto Leasing NJ is the best place for you to lease a new Buick automobile! 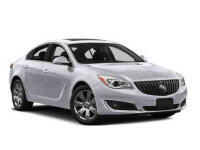 Our prices are the lowest of any leasing agency around, thanks to our electronic Buick leasing system that lets us cut out almost all the overhead associated with a “traditional” leasing company. And because of the tight connections we’ve developed with Buick dealerships throughout the state, we can offer their stock of Buick cars for leasing, meaning that we have a far wider selection than any single leasing business around! 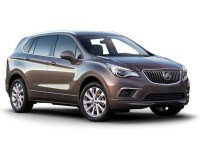 That includes Buick’s Enclave SUV, Verano Sedan, Cascada Convertible and Encore Hybrid! And the benefits of getting a Buick car lease from Auto Leasing NJ don’t stop there: we’re also the single most convenient way to get a Buick auto lease in New Jersey! Thanks to the all-online leasing process pioneered by Auto Leasing NJ, getting a Buick lease is as simple as four easy steps! 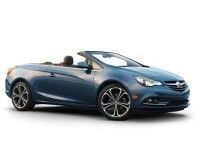 We can honestly say that Buick leasing doesn’t get better than this, but don’t take our word for it! Check out our low monthly lease rates on our Buick stock page, or call us right up at 609-830-0066 to inquire about the Buick automobile you most want to lease! 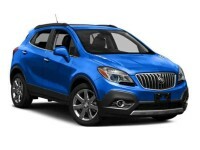 You may be wondering how Auto Leasing NJ can afford to offer such amazingly low rates on Buick auto leasing. Well, it’s really quite simple: we’ve just reinvented the whole paradigm of vehicle leasing! A typical car leasing agency will have a car lot, showrooms and offices — premises which cost money to rent, to maintain and to develop. 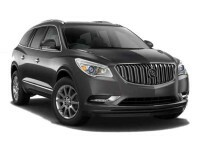 Auto Leasing NJ dispenses with physical premises altogether, instead utilizing our web site as our showroom, and putting our entire stock of Buick vehicles on the page for your convenient perusal. Another cost that other agencies have to deal with is the cost of outfitting themselves with a fleet of vehicles for lease. Not only do they have to obtain the vehicles themselves (a huge initial cost that drives up the cost of every lease in one fell swoop), but they also have to maintain them and upgrade them with every model year. Conversely, since Auto Leasing NJ doesn’t keep an inventory of vehicles (instead relying on our close relationships with Buick dealers all throughout New Jersey to provide us with vehicles to lease), we have no overhead associated with same! What’s more, since we don’t have a staff of salespeople to patrol the aforementioned car lot, trying to get you to lease a vehicle that’s more expensive than you want, or one that you don’t really want at all, we save even more on salaries and commissions! This makes our prices the lowest around, because we pass the savings on overhead directly on to you! 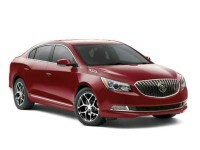 Check out our phenomenally low monthly rates on the Buick Regal Sedan, Lacrosse Sedan, Envision SUV and all other current-model Buick vehicles! Buick auto leasing deals simply don’t get better than Auto Leasing NJ, so look at our Buick inventory page to get started, or call 609-830-0066 right now!